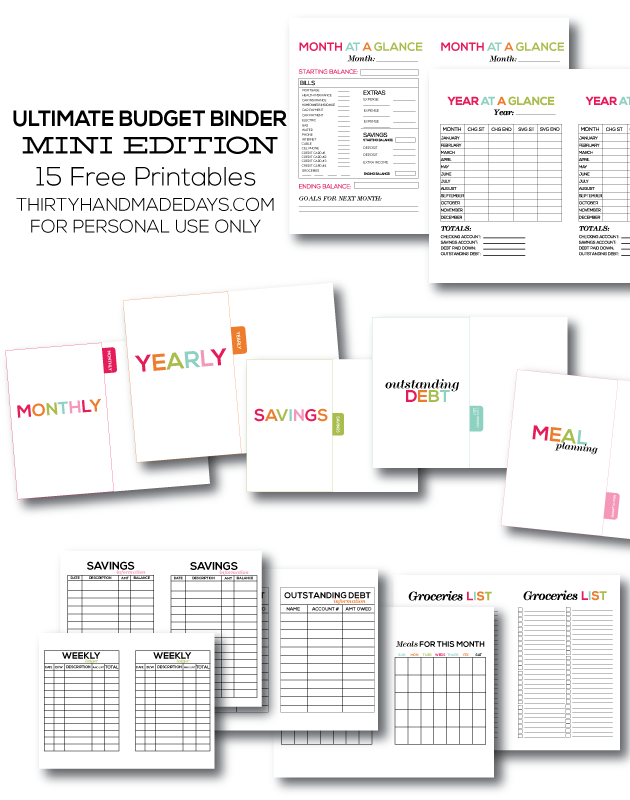 Printable Ultimate Budget Binder- Mini Edition! 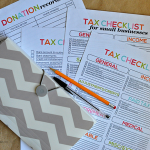 Not too long ago I shared my Ultimate Budget Binder. I am SO happy so many people loved it. It made my day hearing from each one of you. Let’s all get this budget thing down together, okay? Several people asked if I’d consider doing a mini binder. At first I thought- nope, too much work. (because these binders take a lot of time to do) But then I thought about it more and decided to give the second option, the mini. It’s mostly the same as the first version only in mini size. I added some tabs to separate the sections. Affiliate links are used below. I wanna keep it honest and all that. I thought you might want to see it in action so I made a little video. Set to All the Pennies by Mindy Gledhill – could there be a better song than this one for a budget binder? I think not. 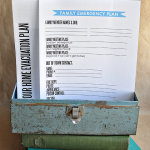 To learn more about what each printable does, visit my original Ultimate Budget Binder post. I’ve had several people ask what D/W stands for on some of the printables- it stands for deposit or withdrawal, just like a bank ledger. 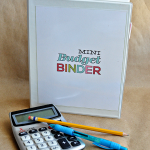 Download the mini budget binder here. For personal use only. Thank you! Ultimate Budget Binder– the ultimate binder that will help you get your finances and budget on track! I was wondering how you shrink these down from the larger size? I’m working on a weight loss budget binder of sorts and I want it to be mini just like this. I’d love to know how you do this stuff in general. Is there a program that you use? Like some type of photo editing software? 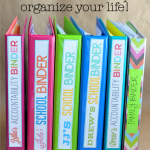 I use your larger budget binder with a combination of a few others and love it. It has helped me tremendously and keeps me on track. Thank you. Thank you so much for your binders!! They are a big help to me and my family! I appreciate all the hard work you have put into them. And for sharing with all of us! Thank you, thank you! Thank you so much for sharing! 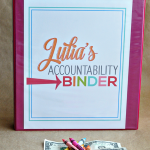 This little binder is perfect :) and and thank you for sharing your story on your “Printable Budget Binder” page! I am hoping keeping this binder will help with my unnecessary spending. Thanks again! What is the them tune of your vid? It’s lovely! I totally love your stuff. I cant wait to start. 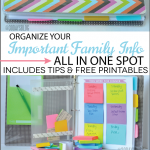 Do you have a Post-it Note Grids for the mini binders?? If you do where can I find it. If not, are you planning on making one??? Thank you again for all the time you have spent make so many of our lives easier!!!!! 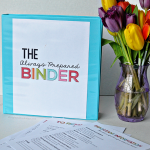 Your binders are FABULOUS! Thank you so much! I saw the Mini Budget Binder on Pinterest and knew I had to make one. I got my supplies at Staples tonight and I’m getting ready to start printing and assembling it. 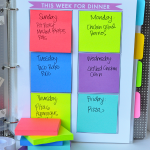 I love meal planning, so having those pages printed out will come in very handy. 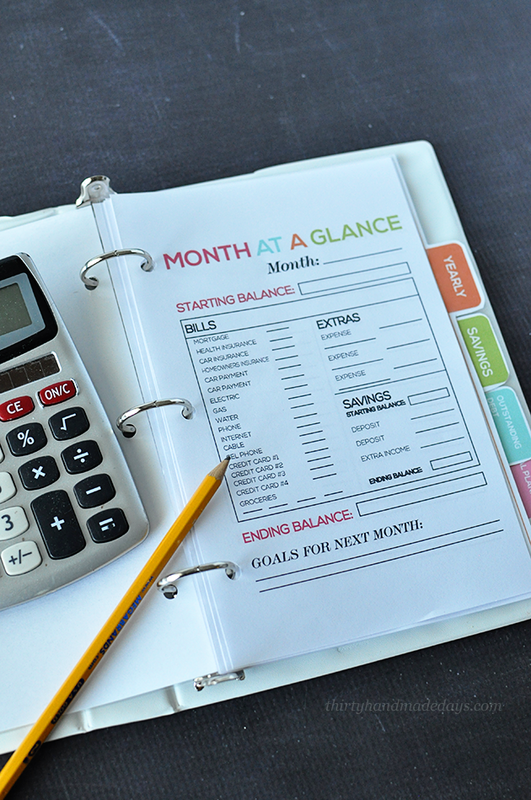 My hubby and I have been married 19 years (just this past Tuesday) and I have never been good at budgeting…knowing how much is coming in and how much is going out). Now that we plan on sending our daughter to a private school, and looking into getting a newer car, I feel like I need to keep better track of our spending….and I know my hubby will appreciate it! 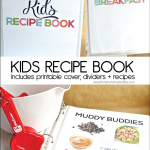 Thanks for the great resource…I love the colorful print! 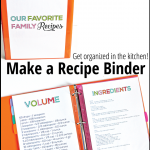 Is there an editable template or a simple way to create the same type of mini binder tabs you have for the mini binder? I’ve used all the ones you’ve created, but I wanted to add a few others and can’t seem to edit the ones I’ve downloaded. Your help would be greatly appreciated!! This binder is exactly what I’ve been searching for! Thank you for sharing!! 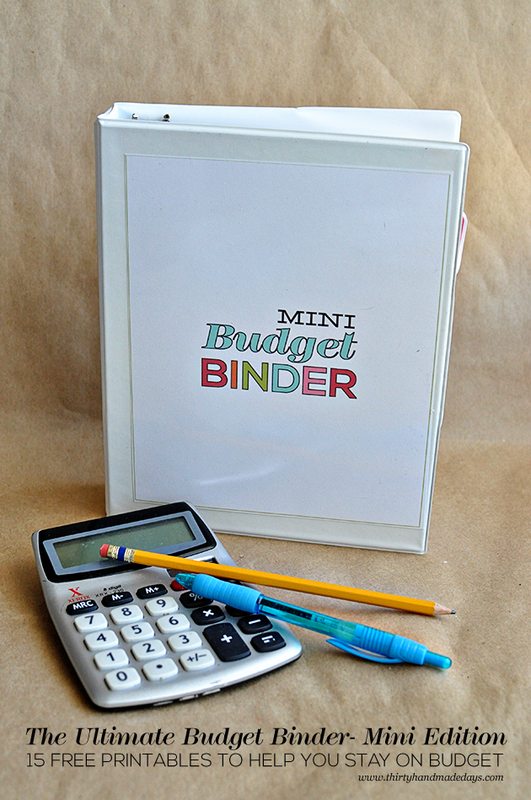 May I get the printable pages for the mini budget binder sent to me email because I can not seem to download them? This is EXACTLY what I have been searching for!!!!! Thank you sooooo much! You should do one for a medical binder. My son needs one so i can stay orginized. This is great! I just got married and this will help motivate me so much more!! Thank you!!! 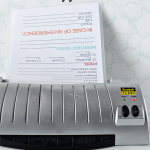 Just wanted to know…with the mini binder, are you cutting the pages in half (because of how they printed out) to go into the binder and can I use a regular hole punch for the mini sheets? 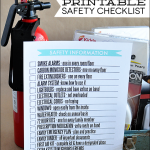 Thank you very much for the printables! Hello! I love this idea. I really want to begin this project. But I as well am having trouble downloading this file. I have Adobe but for some reason it wont let me. Could I also have this emailed? Thanks so much!! Hi Mique! 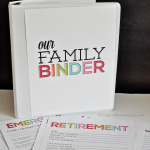 I featured your Mini Budget Binder here on my blog for What I Love Wednesday: http://bit.ly/1drqVZW. Thank you! And thank you for creating this awesome binder! Can’t wait to use it! I love this! 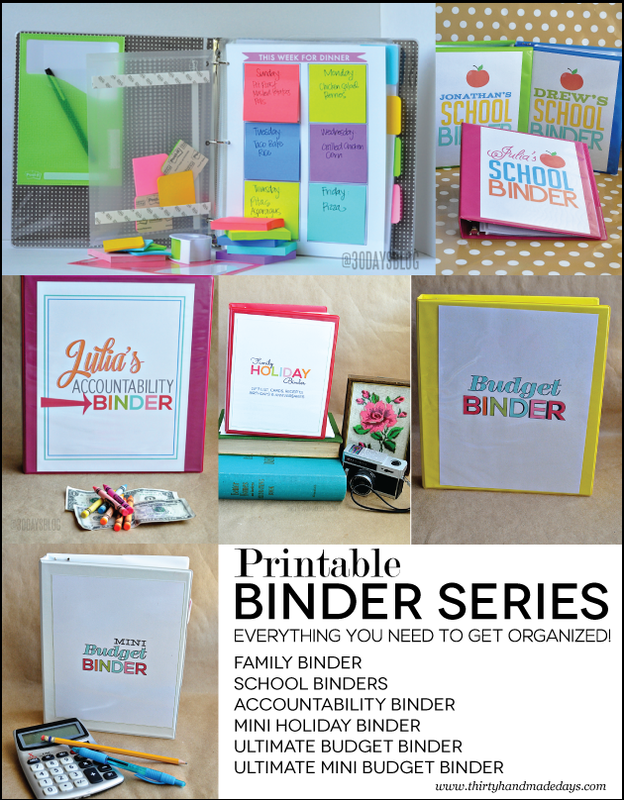 I can’t wait to use your budget binders! I’m thinking about using both…one for on the go and one for home. So i don’t have the chance to forget to write things down. 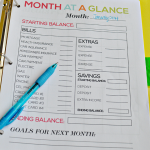 The only thing I changed was the month at a glance simply because I don’t have that many bills…thank God! Haha, I am so very excited to get my family and I on track. Do you have an Important Documents binder? For Lease agreements, bills, important receipts (for big purchases & also bills paid), and family documents? 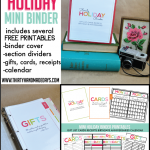 Is there any way you could send me the mini budget organizer to my email? It isn’t letting me download it from here from some reason. I’d really appreciate it. Thanks! I have been trying for several days to download the pdf file for the “mini ultimate budget binder” and have had no success in completing the form. Is there a problem some where? Can I have the file sent by email? Wow, this is awesome! Thank you so much for sharing it with us at Best of the Weekend. Le’ts see if I can put it to good use! :) Pinned to our party board. Your binders are wonderful. I will pin them in my group board on Pinterest. Thanks for sharing. I love this!! 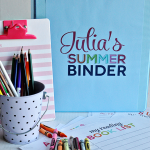 I’m wanting to make the Ultimate Budget Binder and was wondering if you have the custom dividers for that size? you are incredible, Mique! so much work, but such good stuff!!! Love the mini size. Thank you so much! 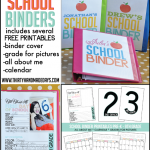 I love the idea of the smaller binder – so much easier to store and manage. Thank you so much for sharing! You SO totally rock for making a mini size! I would have used the larger one but it made.my.day. to see the mini size! Thanks for taking the time. You are so amazing! 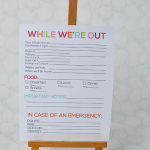 I love all your printables! Thank you so much- it’s awesome!!!!! Thank you so much for your generosity!! Please know that your time and energy are helping many!!! Mique thank you so much for these! And everything else you do! Miquelon thank you so much for these! Ad everything else you do! Awesome video w music. Loved it!